Rugby - 04. September 2007. Camp Hill WRFC have bolstered their squad ahead of their 07/08 campaign with the signing of three new talents: Jo Hart, Laura Murphy and Olivia Horgan. Jo Hart joins from Yardley & District, and at 17 is the youngest member of the squad - eligible to play senior rugby just ahead of Camps' first league fixture against Leodiensians on the 16th September: "I knew some of the players from rugby league [with the Coventry Bears] and wanted to move up to senior level…I had seen Camps play and was impressed and thought I want to be involved." From Hodgehill, Birmingham, Hart lives and breathes rugby. 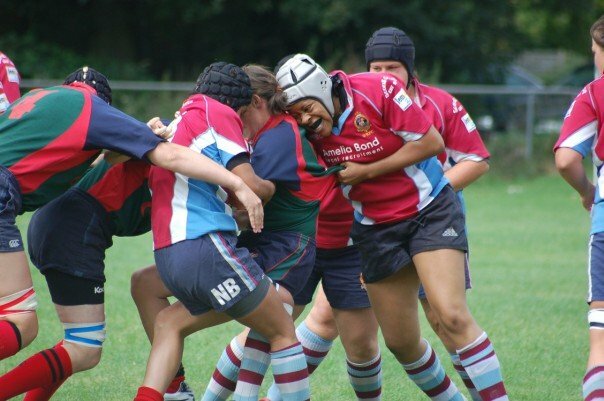 Whilst studying for a BTEC in National Sport with South Birmingham College she is also enrolled in their Elite Rugby Academy, has played regional level union and league this season gone and if that wasn't enough, the young centre is also part of the RFUW's Talent Development Group and is busy preparing for U20 England trials this Saturday at Lichfield. "Jo offers real potential and we're confident she'll excel within the Camp Hill environment " comments Camps' Recruitment Officer, Jo Kilby. Moving down the numbers is 24yr old prop Laura Murphy, a teacher with Worcestershire LEA from West Heath, Birmingham. Joining us directly from Premiership side Worcester and combing invaluable loose- and tight-head versatility with international honours care of the Welsh National Development team, Murphy offers not only a wealth of experience but fits perfectly into Camps new forward dynamic which favours power and mobility over simple size. "Laura has already proven herself at a very esteemed level, and so it’s quite a coup that she will be pulling on the maroon and light blue of Camp Hill this season" confirms Captain Becci Lewis. Completing the trio is Olivia Horgan, 24, a NHS physiotherapist from Edgbaston. On why Camp Hill? "I heard about how well they were organised, how they develop their players and the fact that money and coaching was being invested by them into the game and the team." Despite only a single season behind her care of Midlands West 3 side, Sutton Coldfield Olivia's natural ability and powerful frame already make her an immediate addition to the team. "She is very strong, enthusiastic and already has good basic ball skills, we're very pleased she's on board" advocates Lewis. 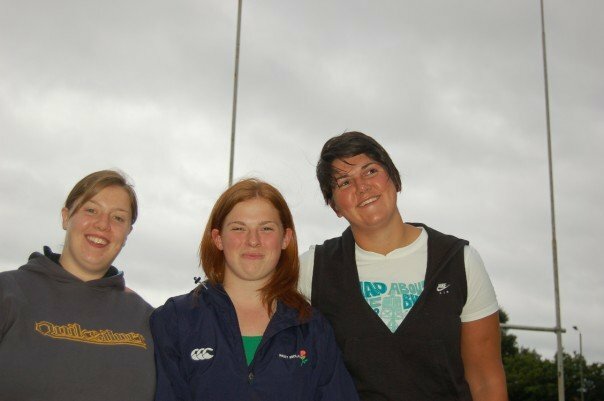 All three will actively contribute to the recently promoted ladies' 1st XV as they set about life in National Championship One (North) this season. Camp Hill WRFC will take some valuable lessons from their seasons' opening friendly as they lost out 27-7 at home to Premiership side Lichfield (placed a division above the Sol/B'ham side) on a fine Sunday afternoon (02.09.07). A try and conversion from Jo Kilby kept Camps competitive but the Staffs side's ability to take their opportunities kept them two scores ahead throughout the 80minutes. An intercept and break away try flattered the scoreline further, but the pressure the maroon and sky blues were able to exert left their opponents at times without any answers to Camps blend of front foot rugby and swift distribution, a positive to take into the forthcoming season. Camps now look forward to their first league game of the 2007/08 campaign where the spoils will count for much, much more as they face Leodiensians from Leeds (away), 19.09.07.